You are going to have trip cancellation, lost luggage, reimbursement, travel accident insurance, travel asstance, auto rental collision coverage with this card. See more at the card page. 5x rewards points for up to $12,500 on purchases for gas, grocery and drugstore. 1x rewards points for other purchases and your points expires 5 years later. If you redeem your points for airfare, your points will have 50% more value. Phone protection and zero liability protection is available. 0% APR first 15 months. 15 months later regular APR is going to be 14.49% - 27.99%. $37 late payment fee is reasonable. 14.49% - 27.99% APR rate can be quite high for you if your creditworthiness is not good enough. 3% foreign transaction fee for every purchases. Cash advance fee is 5% which is a little bit high. You can find some detailed information on Wells Fargo Visa Signature credit card below. You can check rewards, balances, cash backs and other opportunities of the card below. There are also our opinions about features of the card. 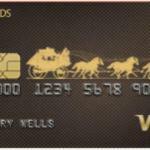 Wells Fargo Visa Signature is a card which you can find many good travel and airfare benefits. Besides there are good rewards rates of the card when you sign-up for it. You will able to gain 5x rewards points. There is no annual fee and there is not any APR for 15 months. Besides points that you earned can redeemable for airfare with 50% better value. So if you can maximize your 6 month bonus rewards to 93750 points for airfare. It worth about 938$ dollars. This is not a sign up bonus exactly but it worth more than a sign up bonus. Wells Fargo is also providing 1x rewards for your each purchases. Your rewards will remain in your account for 5 years. The other good feature of this card is phone protection. Your phone will be secure against thefts and damages with the phone protection option. The insurance is $600 worth for the phone protection. All interest rates are very high for the card. There is also a long introductory period for Balance Transfers and Purchases. 0% for 15 months. However after introductory period and when you are done with signup bonuses this card can be quite expensive for you because fees are also high. There is foreign transaction fee with 3% rate, Cash Advance Fee with 5% rate and also balance transfer fee with 5% in the card. This is a credit card which will be beneficial for you for the short term. If you go on to use the card after 15 months later, you are going to have low rewards, high APRs and fees. You can see overall rating of Wells Fargo Visa Signature reviews above. You can also read user reviews at the end of this content. If you would like to add your thoughts about the card, you can do it with filling comment form. 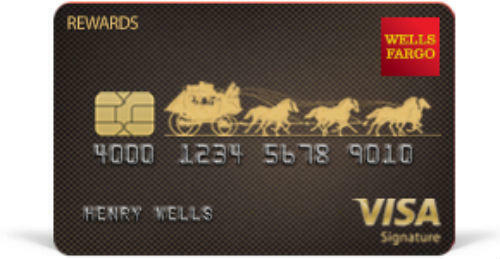 The best card of Wells Fargo. Not a bad card. I have this card about a year. I also believe that this one is the best in Wells Fargo. First 6 months it is good. Then useless.